It has been confirmed today that Norway will switch off FM radio in 2017, the first country in the world to shut off analogue for all major radio stations. The switchover will begin in January 2017 and will be implemented region by region, ending in December 2017 in two northern regions. Norway launched DAB in 1995 at the same time as the UK and the digital radio take up and coverage statistics in Norway track slightly ahead of the UK .In Norway DAB coverage is 99.5% and 56% of radio listeners use digital radio every day. In the UK BBC national coverage will reach 97% by the end of this year and 44% of listeners listen via a digital platform each day. In Norway 55% of households have DAB radios, while in the UK 48% of households have access to at least one DAB radio. In Norway, 20% of private cars have DAB digital radio - in the UK this is currently estimated to be around 15%. In Norway 29% of new cars have digital radio fitted as standard, while in the UK 61% of new cars have digital radio fitted as standard. 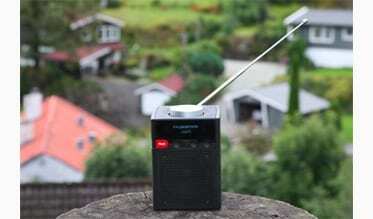 The announcement from Norway comes at a time when Denmark, Sweden , Switzerland and German are reviewing the time frame for development of digital radio and a potential switchover. In the UK the Government and broadcasters are planning for a digital future for radio and investing in expanding National and Local DAB coverage towards FM equivalence and launching new digital radio stations. Government has established switchover listening criteria of 50% and will review the decision and timeframe for a future UK radio switchover when that is achieved – which is expected in the next 2 years.